State Rep. Cecil Bell, a private contractor, says he has a plan to curb costly and sometimes dangerous strikes to underground pipelines during construction: make sure whoever is responsible pays to fix them. 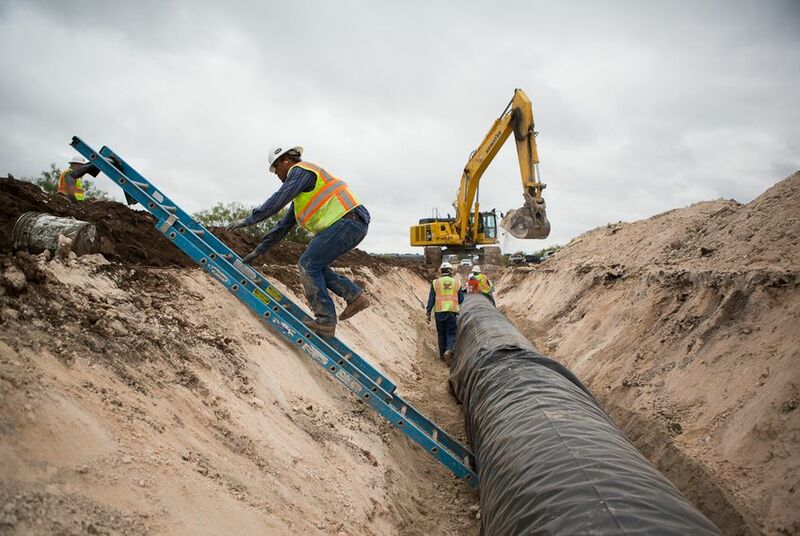 A Texas lawmaker says he has a plan to curb costly and sometimes dangerous strikes to underground telephone lines, fiber optic cables and utility pipelines during construction: make sure whoever is responsible pays to fix them. 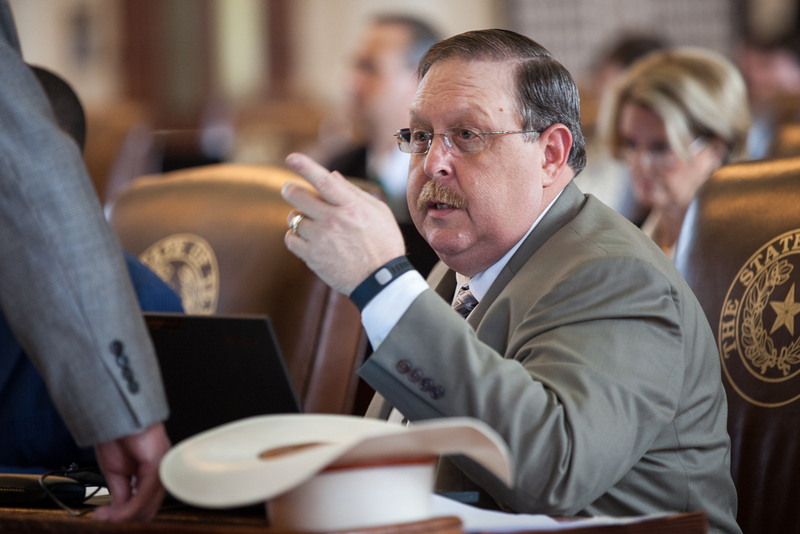 Rep. Cecil Bell Jr., who has spent decades as a private contractor, considers the current system in Texas stacked against his profession, and he wants to change that. Often, he says, contractors will strike a line that was poorly marked — the fault of operators of the pipelines and telecommunications lines. But those companies are billing excavators — and sometimes suing them — for the damage regardless of who is at fault, he and some of his industry mates maintain. So the Magnolia Republican is pitching legislation to shield contractors and other excavators from liability when they follow the rules but strike underground lines that were poorly marked. This, Bell said, would “put balance in the statute” and limit strikes in the first place — by incentivizing companies to do a better job marking their lines. “It’s a huge cost that gets passed ultimately to consumers in a direct way,” said Bell, who does not consider his legislation a conflict of interest. Texas excavators strike pipelines and cables thousands of times each year, and it can cause serious headaches — if not injury — to those working around or depending on them. Gas pipelines can explode, for instance, and damage inflicted on water or other utility lines could upset homes and businesses or hinder emergency response efforts. Over the years, excavation strikes to fiberoptic cables have disrupted telephone and 911 service to parts of Tarrant, Cass and Hays counties, to name a few Texas examples. In the 2007 Hays County incident, thousands of residents lost landline and cell service for several hours when a construction worker driving a tractor was attacked by bees. Before jumping off the tractor, the worker and accidentally hit a lever that lowered a boring tool, striking the fiberoptic line, according to an Austin American-Statesman article. And strikes to some pipelines can prove deadly. In 2010, for instance, workers replacing a power line poll outside of Cleburne struck a gas line, sparking an explosion that killed one and injured eight others. Though deaths from pipeline are rare, less severe strikes are common in Texas. At more than 430,000 miles, the state's oil and gas pipeline system stretches farther than any other state's. Texas also issues the most building permits in the nation, making for plenty of construction atop and around those pipelines and other cables. The Texas Railroad Commission, which regulates oil, gas and hazardous liquids pipelines, recorded nearly 8,800 pipeline strikes in 2015. That number was higher than in recent years, but the rate of those pipeline strikes — measured in relation to calls to locate pipelines — has steadily declined since 2008, according to agency data. One North Texas company that does residential construction tallied 89 public and private utility line strikes in 2015 alone, though most of them were minor, totaling roughly $10,000. The 350-employee company asked not to be named. Texas law requires excavators to call a statewide notification center (Texas 811) before they dig. That system connects excavators with utility operators, who are required to mark any underground lines or equipment within 48 hours. Contractors allege operators sometimes fail to follow through on their end of the bargain, yet bill them for damage anyway. And those bills can range from hundreds to tens of thousands of dollars. In many cases, the excavator’s insurance will cover these costs, but being held liable for more strikes only raises premiums, the companies say. “The insurance company is paying the person who’s at fault, and that’s really not right. Why should there be an award for doing it wrong?” Lesch said. Officials at one utilities that contractors mentioned frequently squabbling with, Atmos Energy (natural gas) did not respond to messages seeking comment, and another, AT&T, declined to comment on Bell's looming legislation. "We will provide comment on legislation filed in the 85th legislative session once filed and we have had time to review," said Tracy King, vice president of public affairs for AT&T. Officials at the Texas Pipeline Association also said they didn't want to comment until they see the bill. Last year, 26 percent of strikes to pipelines the Railroad Commission regulates stemmed from excavators’ failure to notify the state call center, according to the agency's data. Poor markings or a failure to mark facilities accounted for 31 percent of the instances. Bell said his legislation would make sure excavators who followed protocol could not be held liable for striking an unmarked line. Additionally, they could recover attorneys’ fees — on top of damages — if they prevailed in a lawsuit relating to such a dispute. Bell's office said he didn't model legislation on rules in other states, and Associated Builders and Contractors, a national industry group, said it does not track excavation liability laws across the U.S.
Bell pitched a similar bill in the 2015 legislation session, which many utilities and industry groups opposed. It escaped a Texas House committee but died in the chamber. Henry Flores, the Austin-based state regulatory affairs manager for Centurylink, told a House committee last year that Bell’s proposal would not make digging any safer and could encourage excavators to sue utility companies, rather than the other way around. It would create an “unworkable preference to the excavator,” Flores testified. He declined to be interviewed for this story, saying he wanted to first chat with Bell about the new legislation. With this effort, Bell joins a rich history of Texas lawmakers pitching legislation that would benefit their professions, a practice that sometimes raises eyebrows, but is not necessarily barred under Texas law. Bell said he didn’t see any ethical problems in his effort, and that he's only trying to "level the playing field." Companies run by two billionaires are teaming up to build a 143-mile pipeline to carry natural gas through the Big Bend region and into Mexico. An unlikely coalition of environmentalists, landowners and others is fighting to thwart the project. Disclosure: AT&T has been a financial supporter of The Texas Tribune. A complete list of Tribune donors and sponsors can be viewed here.